First 20 days of the Yogi Adityanath government have been very dynamic. The BJP's Hindutva fire-brand leader and 5-time Member of Parliament from Gorakhpur, who took oath as Chief Minister of Uttar Pradesh on March 19, has taken not taken fast decisions but has also ensured speedy implementations. The first Cabinet meeting of Uttar Pradesh Government was held on Ram Navami, the last day of Navaratra, and total nine decisions were taken, some of them also mentioned in the BJP's election manifesto. Chief Minister Yogi Adityanath also shifted to his official residence -- 5 Kali Das Marg -- during Navaratra itself. "The nine decisions, which the Cabinet took include loan waiver to small and marginalised farmers, streamlining purchase of wheat, action on illegal abattoirs, work done by anti-Romeo squad, committee to study the ways and means to protect interests of potato farmers. "Industry policy, action on illegal mining, adoption of resolution to thank Prime Minister Narendra Modi for granting constitutional status to National OBC Commission and establishment of sports complex in Ghazipur," UP Minister Shrikant Sharma said. Delivering on BJP's poll promise to small and marginal farmers, the Yogi Adityanath cabinet decided to waive their crop loans up to Rs 1 lakh, totalling a staggering Rs 36,359 crore, at its very first meeting. The move will benefit over 2.15 crore farmers, besides 7 lakh others who had secured loans which turned into non-performing assets (NPAs). In order to bring them back into the mainstream, their outstanding dues of Rs 5,630 crore have also been written off. The Yogi Adityanath cabinet decided to float Kisan Rahat Bonds for raising Rs 36,359 crore required for waiving loans of small and marginal farmers who form 92.5 per cent of the total 2.30 lakh farmers in the state. Rs 30,729 crore was required for waiving loans of small and marginal farmers. Taking into account the problems faced by potato growers, who face immense hardship in case of bumper crops, the cabinet decided to set up a three-member committe headed by Deputy Chief Minister Keshav Prasad Maurya to see how they can get adequate remuneration for their produce. The ministers said the committee will also look at how to help the potato growers. The cabinet also decided to raise by Rs 10 per quintal the minimum support price for wheat procurement as loading and unloading charges. The MSP for wheat it Rs 1,680 per quintal. A target of 80 lakh metric tonnes of wheat procurement has been fixed for this season and, in the first phase, half of it will be procured, they said. The ministers said instructions have been issued to ensure direct procurement from farmers and that they should not be harassed. A total of 26 illegal abattoirs have been shut down in Uttar Pradesh in the last 20 days. "As many as 26 illegal slaughter houses have been closed in the state. No illegal slaughter house will be allowed to operate," Health Minister Siddharth Nath Singh said. Singh said instructions have also been issued to officials that they should not act in an "over-enthusiastic manner." The minister, however, did not specify the total number of slaughter houses operating in the state at present. "The orders of the Supreme Court and National Green Tribunal will be followed in letter and spirit," he asserted. The BJP leader clarified that there was no objection in renewal of licenes of meat sellers. A delegation of meat sellers had recently met Chief Minister Yogi Aditynath following the state government's crackdown on illegal slaughter houses. Commenting on the anti-romeo squads constituted by the BJP-led state government to keep an eye on eve-teasers and for ensuring safety of girls, Cabinet minister Shrikant Sharma said, "A sense of insecurity prevailed among the school going girls due to passing of lewd comments and stalking, for which the anti-Romeo squads were formed. They are doing a good job." He said instructions have been issued to ensure that no innocent was harassed while strict action was taken against the guilty. "Couples sitting in parks, coffee shops, rickshaws and other public places should not be unnecessarily frisked," he said. Sharma added that if any official was found exercising vigilantism, stringent action would be taken against him/her. At the first cabinet meeting presided over by Chief Minister Yogi Adityanath, it was decided to set up a five-member group of ministers led by deputy chief minister Dinesh Sharma for studying industrial policies of other states so as to formulate the state's own policy for boosting investment. The GoM will visit other states and study the policies of Gujarat and Madhya Pradesh, among others, for preparing a policy to improve investments through single window system. "The state government is preparing an atmosphere conducive to more and more investments and making single window system operational so as to provide all facilities to investors under one roof," the chief minister was quoted as telling officials in the meeting held on Industrial policy. For creating investor-friendly atmosphere, the government is working on improving law and order in a big way and has already instructed DMs and police chiefs to take all issues of law and order concerning entrepreneurs very seriously, he told officials. The chief minister also directed the officials to take serious note of problems being faced in industrial areas, including Noida, and resolve them. The chief minister said stress will also be on imparting training to youth, and help of the National Skill Development Mission will be taken in this regard. In order to check illegal mining, the cabinet decided to constitute a group of ministers. The GoM headed by deputy Chief Minister Keshav Prasad Maurya has been asked to give a report on this. 8. The UP cabinet adopted a resolution to thank Prime Minister Narendra Modi for granting constitutional status to National OBC Commission in the state. 9. The Uttar Pradesh has also decided to establish a sports complex in Ghazipur. # The state government has imposed a ban on cow smuggling. The police officers have been told to adopt a zero tolerance policy towards those involved in such trade. # The ministers in Yogi Adityanath cabinet have been asked to stop using red beacons atop vehicles. # Services of all advisers, vice-chairmen and chairmen appointed by the previous SP government discontinued. # The directive to ensure officials and ministers reach office by 10am and installation of biometric attendance at government offices has come to the relief of public visiting these places for work. # The grant for Mansarovar pilgrimage has been increased from Rs 50,000 to Rs 1 lakh, along with directions for construction of Mansarovar Bhavan near New Delhi for pilgrims. # Ministers have been told to disclose their incomes and submit the details to the CM secretariat and the BJP office. # Ban ordered on ‘paan-masala, gutkha’ consumption in government offices, hospitals, schools etc. # Deadline of June 15 set for making all UP roads pot-holes free. # Officials have been asked to replace contractors of criminal background with those who have a clean record. # Yogi advised ministers and directed officials not to take files home and rather clear them during office hours. # Other directions include review of security were given to political leaders and officials and ministers to give details of their property within 15 days. # Officials have also been directed to make plans for electricity to be made available in every village. # Yogi Adityanath government has approved Rs 47 crore package to ensure immediate availablility of drinking water in the parched Bundelkhand region. The UP Chief Minister also said that if needed, the state government would make available additional funds under this head, but there should not be any problem of drinking water for the people and the cattle in Bundelkhand region. # Aiming to curb the activities of "cheating mafia", the Yogi Adityanath led Uttar Pradesh government has directed officials to blacklist centres where mass copying takes place and register FIRs in this regard. # The newly elected BJP government has also decided that FIRs would also be registered against government teachers who are found running private coaching institutions. # 80% attendance may soon become compulsory for students of classes IX to XII of Uttar Pradesh government schools while a bio-metric attendance mechanism will be put in place for teachers. # Biometric system of attendance would also be made mandatory for teachers in schools. # The Yogi Adityanath led government in the state has also readied a draft of the ordinance planned to regulate school fees charged by private schools and put it up on the website of the secondary education department for suggestions. 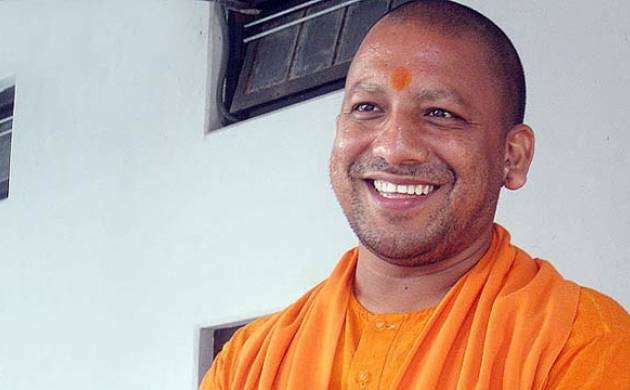 A section of political experts do believe that the way Yogi Adityanath has swung into action from the very first day in office, it looks possible that he will be able to change the face of the state, which belongs to the category of BIMARU state. However, few other political scinetists have said they will say anything on Yogi Adityanath's governance only after he spends some time in office. According to them, it will be really tough for the Uttar Pradesh CM to control the saffron groups active in the state.